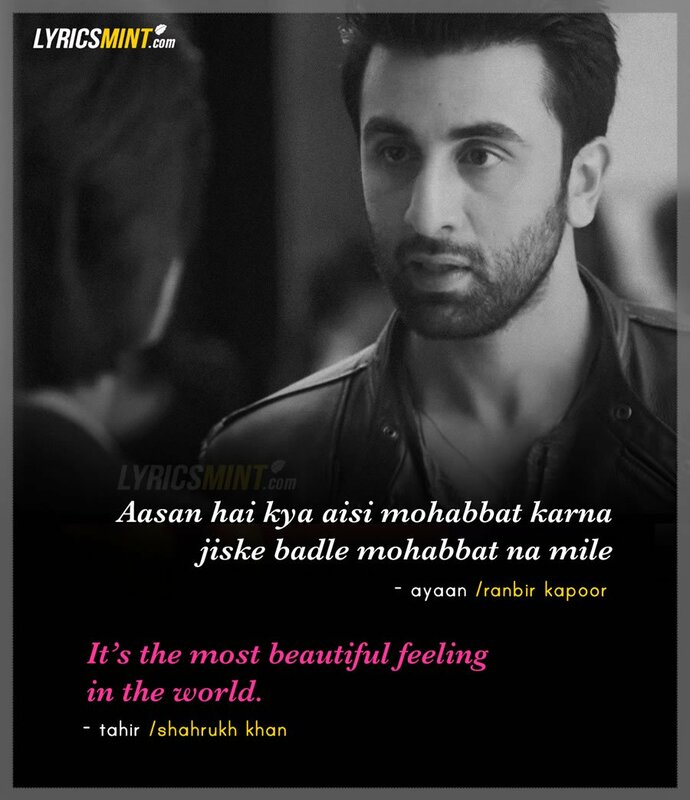 Shahrukh Khan’s Dialogue in Ae Dil Hai Mushkil with Ranbir Kapoor and Aishwarya Rai Bachchan. Shahrukh Khan's dialogue with Ranbir Kapoor in Ae Dil Hai Mushkil: There are only a few lucky ones who get love in return from the same person they’ve loved. But there are those who are not so lucky and If you’re one of those unlucky ones, here we have Shahrukh Khan and Ranbir Kapoor to make you feel good about your one-sided love. Ae Dil Hai Mushkil is a complicated story of Love and Friendship by Karan Johar in which Shahrukh did a small cameo. He is playing a painter named Tahir who is Saba’s (Aishwarya) divorced husband. There is this scene where Shahrukh Khan along with Aishwarya has a dialogue with Ranbir Kapoor which inspires RK for his one-sided love for Alizeh (Anushka Sharma). 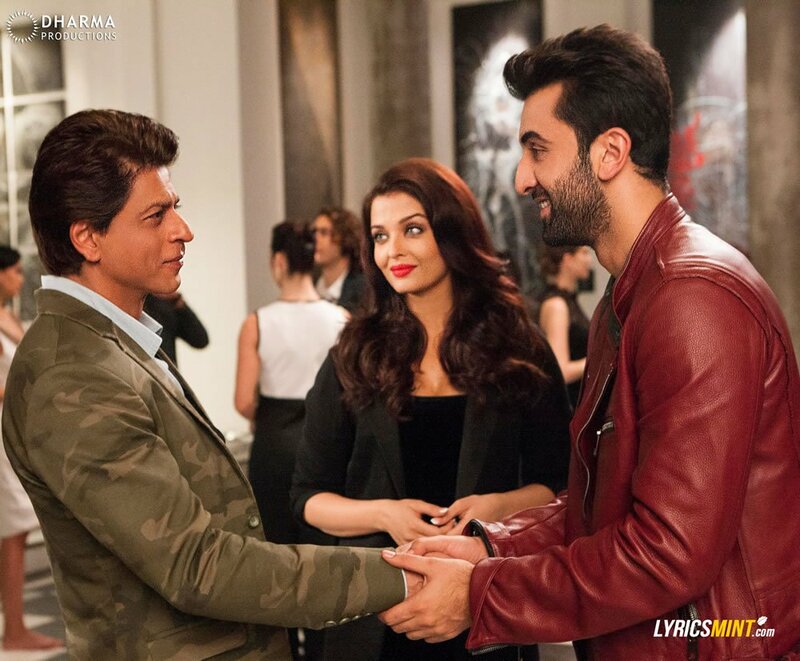 Here goes the complete ek-tarfa pyar wala dialogue from SRK-Aish-RK scene in ADHM. Izzat bhi de rahe ho aur umar bhi yaad dila rahe ho. Ayaan: Kahani kyun badli, If I may ask? Sirf mera haq hai ispe, sirf mera..
Aur agar baazi ishq ki baazi hai, to jo chaahe laga lo, darr kaisa?